We went to Saint Martin, FS and PJ7 in 2006. Our call signs were FS/DL7DF and PJ7/DL7DF. 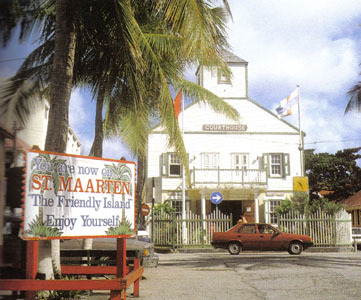 Saint Martin is not amongst the top 10 of the most needed DXCC entities but we enjoyed the pileups a lot. Activity took place between February 21 and March 8, 2006 with two stations from both operating places. We were operating 160m to 10m, CW, SSB, RTTY, PSK31 and SSTV using two linears, beams, a Titanex V80 vertical plus a R7. 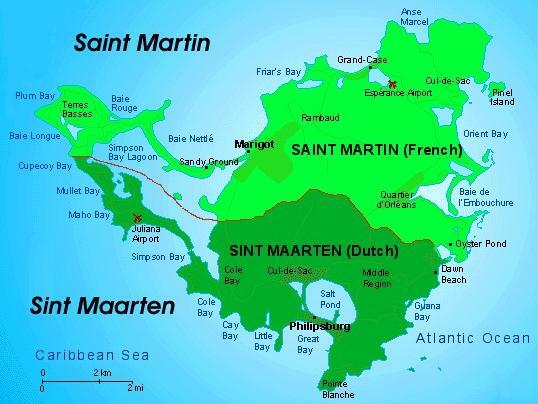 The island of Saint Martin is shared with France; it's southern portion is named Sint Maarten and was part of the Netherlands Antilles; it's northern portion is called Saint-Martin and is part of Guadeloupe (France). 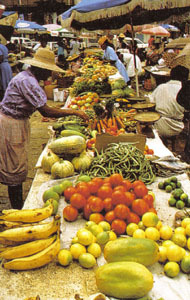 Pilot for this DXpedition was DF3CB. Thank you very much to all our sponsors who support our FS and PJ7 DXpedition!